Email marketing yields a positive return on investment (ROI) by having your target audience informed about the latest products, great deals, and newsworthy items. Kayan Solutions will help you create a custom email marketing campaign that is personalized and targeted for the audience you want to gear your business to. The team at Kayan Solutions will design your email marketing campaign, build content, design templates, track your results and provide feedback to you. 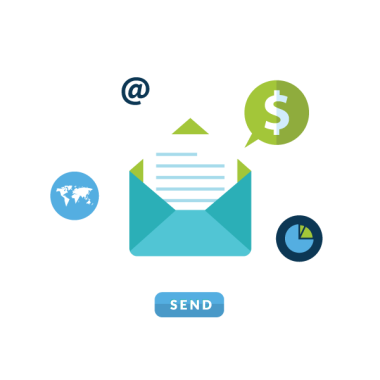 Our team will work closely with you to develop approaches to customize the most ideal email marketing campaign based on your business needs. The Kayan Solutions team will work with you from start to finish on the email design and template so that we can build a communication network with your target audience that will help you boost your profits by gaining more customers. Our content writers will creatively design the email template and content that is ideal for your business. Kayan Solutions will provide you feedback and details about who is visiting your website and other important logistics.